It was a rainy and muddy day in the town of Pátzcuaro when I arrived there for the first time as a student in 1989. I was studying for the semester in Mexico in the central Mexican city of Morelia and on the weekends I would hop the local buses and explore nearby towns, sometimes alone and sometimes with other students. I had heard that Pátzcuaro had a lot of history to it, that once a great indigenous kingdom had its capital here, and the town played an important role in the history of Mexico. The bus ride from Morelia to Pátzcuaro was short which afforded plenty of time to roam around this place, provided the weather held up. When wandering off the main plaza, I came to a secondary plaza to its north. In that smaller town square stood a bronze statue of a very passionate-looking woman with frazzled hair and a determined countenance. My map said I was in the center of Plaza Gertrudis Bocanegra and the statue had the same name. On the statue’s base there was something about the woman being a heroine of Michoacán, the present state in central Mexico in which Pátzcuaro is located, but the plaque didn’t say much else. I was unclear as to whether or not she was a heroine for the indigenous Tarascans or Purépecha people, if she was in the Cristero Revolt or if she was a local gal who rode with Pancho Villa. I was barely 20 years old at the time and not fearful to stop to ask strangers things in what would be my first adventure outside the United States. I passed a man selling plaster cast piggy banks, sloppily painted by airbrush and made in the likeness of Tweety Bird and asked him about the statue. Who was this woman? He said it was, “That chick who fought in the War of Independence. She was killed here in this plaza and that’s why they named it for her.” I made a mental note of this, probably never thinking I would ever return to Pátzcuaro or would ever think of Gertrudis Bocanegra again. I was wrong on all counts. Here is her story. Gertrudis Bocanegra was born in the town of Pátzcuaro, on the shores of the lake of the same name in April of 1765. Her Spanish-born father, Pedro Javier Bocanegra, owned a prosperous general store in town. Her mother, Felicia Mendoza, was born in New Spain of a Spanish father and Tarascan Indian mother. Because of their family history and the nature of their business, the Bocanegras were fluent in both Spanish and the Tarascan language also called Purépecha. 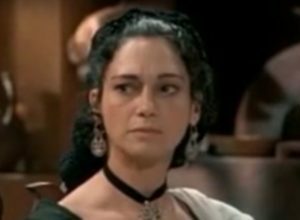 As they were of the educated upper-middle class of New Spain, Gertrudis could also speak and read French. As an intellectual child of the European Enlightenment, she enjoyed many authors in the original French, notably Diderot, D’Alembert, Rousseau and Voltaire. She would get together with local like-minded intellectuals and a young priest of the local church to discuss these writings, as well as the works on a variety of different subjects written by Bacon, Newton, Kepler and Copernicus. The ideas expressed in these “forbidden books” would shape Gertrudis’ political and social ideas and would also inspire the educated masses of New Spain to question their own status as a colony of Spain and reflect on their own relations with the indigenous. As someone exposed to these ideas and of someone who had indigenous ancestry herself, Gertrudis believed in civil rights for all classes of people in New Spain, and regularly acted on her beliefs. She often fed the needy from her home and intervened on behalf of the unfortunate. She encouraged use of the Purépecha language even when it was frowned upon by many as inferior. One of Bocanegra’s biographers related a story which took place in the Pátzcuaro cemetery. When Gertrudis was there with her sister they noticed a Tarascan man talking to a priest. The Tarascan held in his arms, wrapped in cloth, his infant son who had just died. The man wanted to bury his son in the cemetery of the local church but the priest refused him, citing that Indians were not allowed to be buried there. Gertrudis asked what was the matter and the priest explained that there was a very high fee for graves in the church cemetery. So, Gertrudis paid the fee so that the man could bury his son in a place that was formerly forbidden to do so. In the years immediately after the American Revolution to the north, the people of New Spain became restless and began to question their relationship with their own mother country. As mentioned before, the ideas European Enlightenment, including such things as human rights, reason, and equality under the law, had been spreading throughout the educated classes of the Spanish Empire in the Americas. To use a familiar cliché to describe a pivotal moment in history, the spark that lit the powder keg of Mexican independence did not happen in the New World, but in Europe. Pressure from Napoleon Bonaparte, the new ruler of France, caused the abdication of two kings of Spain: First, King Charles the Fourth stepped down in favor of his son, King Ferdinand the Seventh, and later Ferdinand was forced to give up the throne in favor of Napoleon’s brother, Joseph Bonaparte. This was 1808. The elites of New Spain did not recognize the legitimacy of Napoleon’s brother as king of Spain, going so far as to recognize the viceroy of New Spain, José de Iturrigaray, as the sovereign ruler of Mexico. 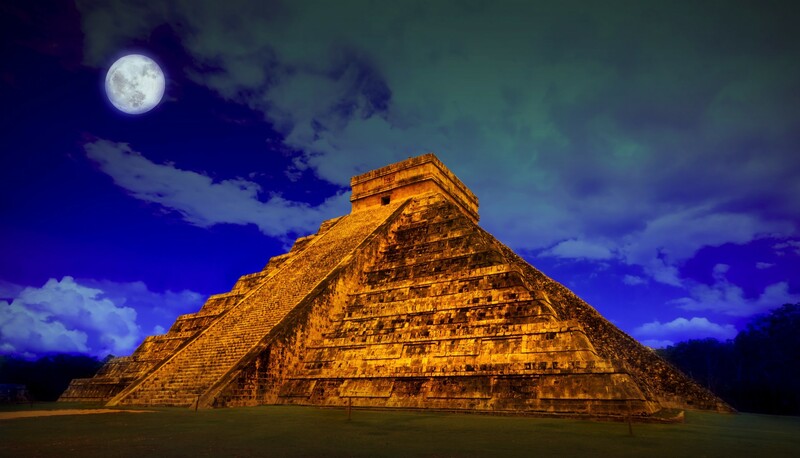 A coup against the viceroy followed and its conspirators were discovered and jailed, but that did not end the desire for independence from Spain in the hearts of the Mexicans. By the time of the first insurrection of the formal War of Mexican Independence in 1810, Gertrudis Bocanegra was already 45 years old. He had long been married to Pedro Advíncula Lazo de la Vega, whom she had met at a society ball many years before after he had been transferred to New Spain from the island of Cuba to serve in the Spanish provincial forces of Michoacán. Gertrudis and Lieutenant de la Vega had 4 daughters and two sons. Although a commissioned officer with the royal forces, Gertrudis’ husband shared many of her views coming from the Enlightenment. When revolutionary fervor began to sweep the countryside of Michoacán, it was clear which side Gertrudis’ husband and eldest son José Manuel would take: they would side with the anti-royalist forces to gain independence for Mexico from Spain. When a massive rebel group led by Father Hidalgo marched through the neighboring city of Valladolid – now called Morelia – in October of 1810, Lieutenant de la Vega and his son joined up. While insurrections were happening throughout the countryside and the independence movement was in full swing, Gertrudis worked as she normally did to maintain the family business, but felt she needed to contribute more to what was unfolding around her to ensure that the ideas she had believed in and read so much about would crystallize and bear fruit. She then became involved in the messenger network between Pátzcuaro and Tacámbaro, two rebel strongholds, helping ferret communications back and forth between military commands. In January of 1811, both her husband and her son were killed at the Battle of Calderón Bridge, when 6,000 royalist soldiers defeated the rebel forces that numbered close to 100,000. Distraught but determined, Gertrudis continued to help in the war effort, in secret, and continued with her messenger network which she had strengthened and which had grown in scope. Seeking a more active role in what was later an all-out war, rebel commanders thought it best to send Gertrudis Bocanegra to fight in the guerrilla uprising in Pátzcuaro. While en route to the battle, Gertrudis was captured by the royalists and taken prisoner. This was early 1817. She was repeatedly tortured in hopes that she would reveal the names of her co-conspirators. After months of captivity Gertrudis did not relent and her comrades were safe. Because she would not talk, the Spanish authorities found her guilty of treason and condemned Gertrudis to death. On October 11, 1817, Gertrudis Bocanegra faced a firing squad while being tied to a tree in the small plaza that now bears her name. Before she was about to be shot, she violently cursed all involved with her capture, imprisonment, torture and execution, and issued them a warning that they were on the wrong side of history. In the end, Gertrudis Bocanegra was proven right.